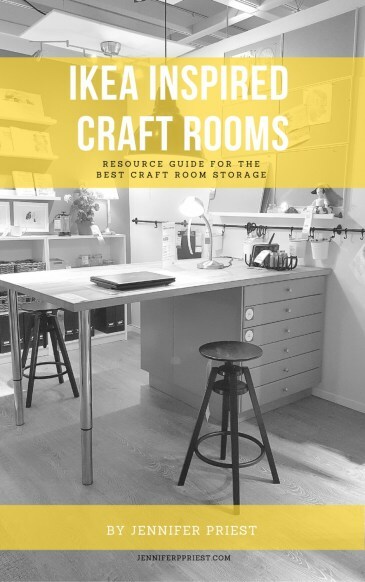 After the lazy days of summer barbecues, it can be challenging to get back into the routine of school, sports practices, drama club rehearsals, and making dinner. 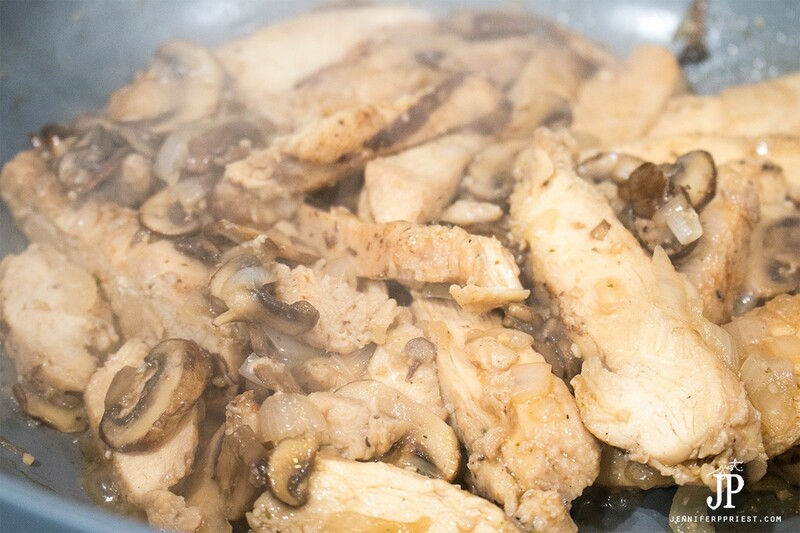 This mushroom chicken recipe is a delicious family favorite that you can make in under 30 minutes! This dish is perfect for those nights where you don't know what to make – a quick run to Walmart for a short list of ingredients, including Tyson® Grilled & Ready® Chicken Breast Strips and Hillshire Farm® Farm Classics® Lunchmeats Hickory Smoked Ham, is all you need to make this simple yet flavorful dinner the whole crew will love. 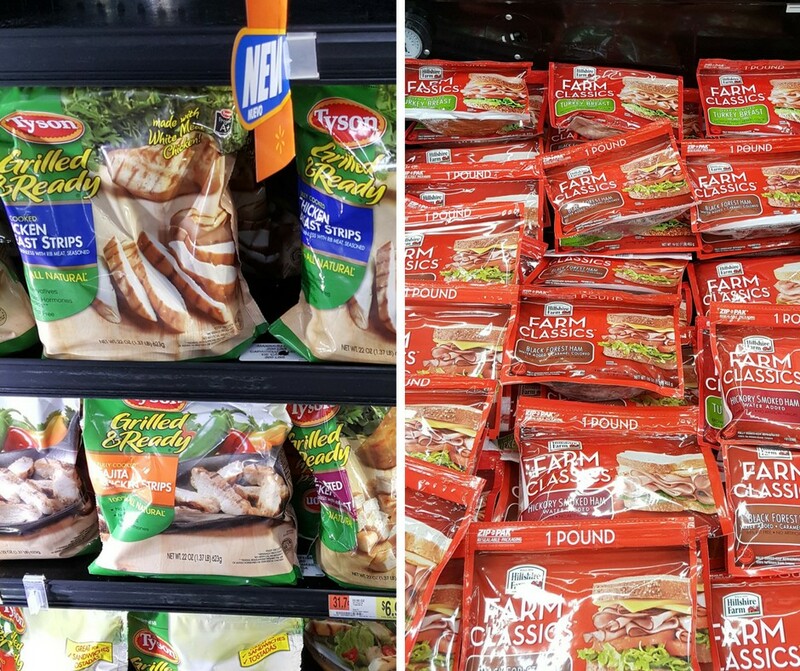 Tyson Foods has back to school covered with money saving, convenient freezer items to make breakfast, lunch, and dinner easy for busy moms. 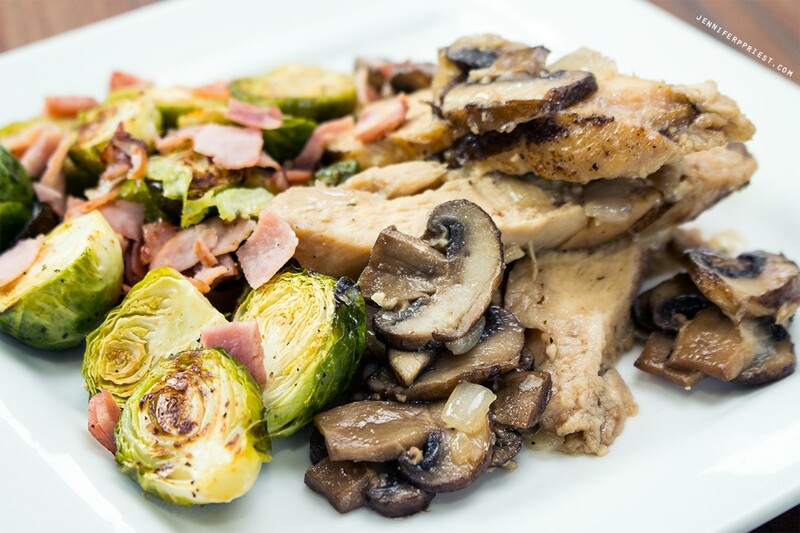 What I love most about this recipe is that you can make the brussels sprouts side dish at the same time as the mushroom chicken main dish. 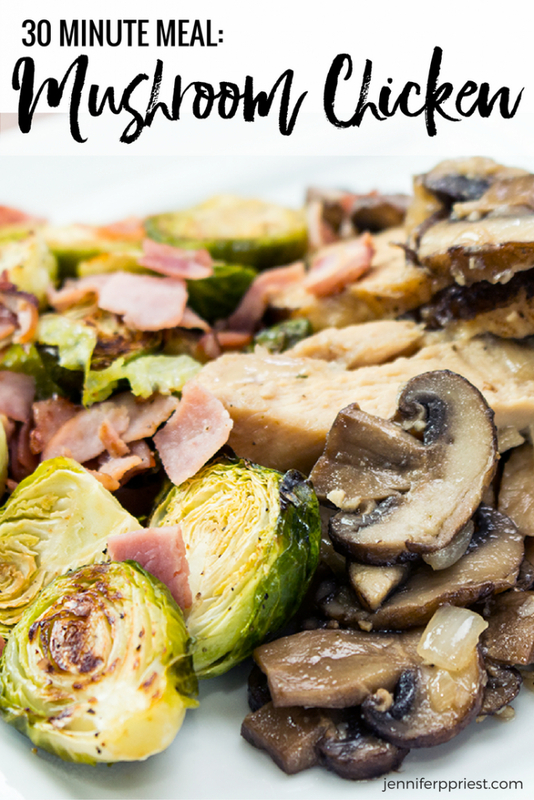 This saves time and makes this truly a thirty minute meal! It's easy with Tyson® Grilled & Ready® Chicken Breast Strips and Hillshire Farm® Farm Classics® Lunchmeats Hickory Smoked Ham. Set the oven to 400ºF. While the oven pre-heats, cut off the ends and halve the brussels sprouts. Wash and drain well. Toss the brussels sprouts with the garlic powder and olive oil until coated, adding salt and pepper as desired. Cover a cookie sheet with foil and spread the brussels sprouts onto the sheet in one layer. Place the cookie sheet in the oven and bake for 15-20 minutes, until the edges of the brussels sprouts start to crisp. In a saute pan, melt the butter. 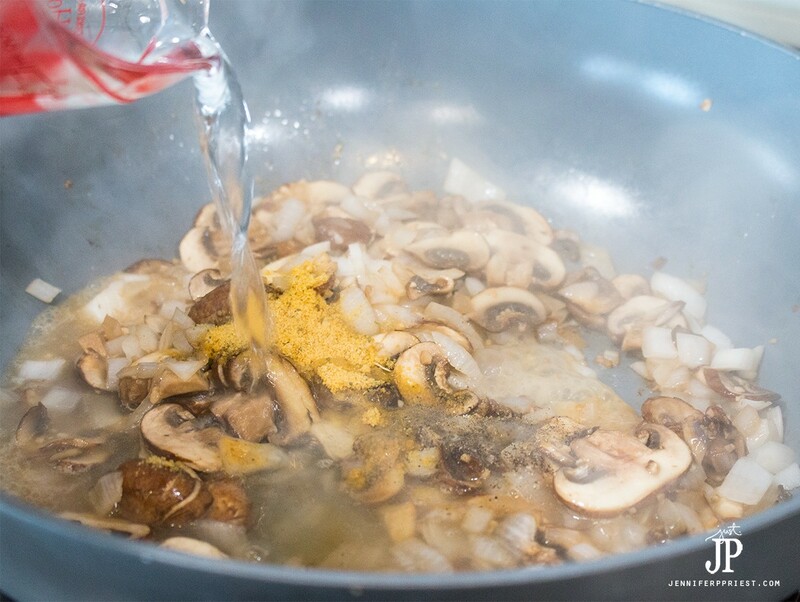 Cook the mushrooms, onions, and garlic in the butter until tender. Add crushed chicken bouillon and 2 cups of hot water to the mushroom mixture. Stir to blend. You can premix the bouillon into the water if you like. 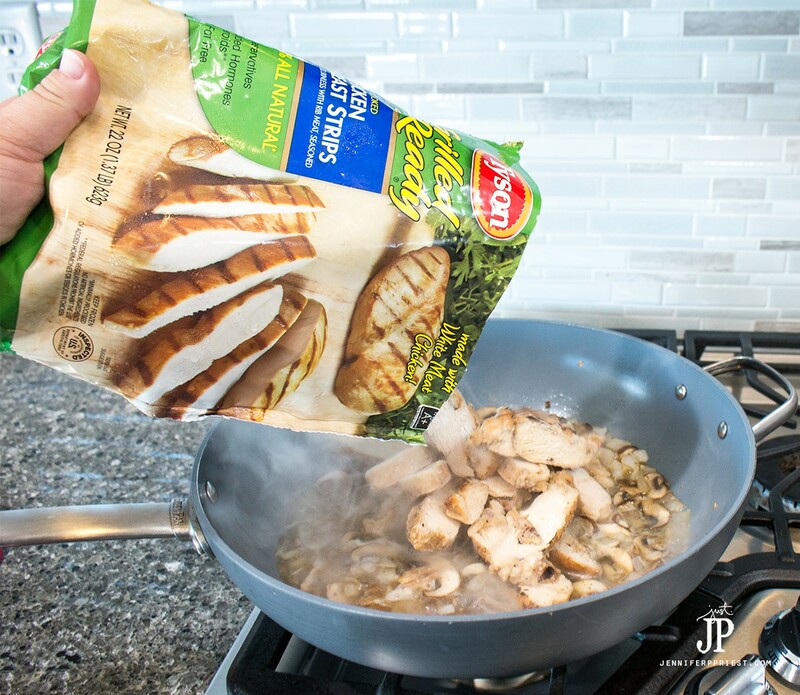 Add the entire package of Tyson® Grilled & Ready® Chicken Breast Strips to the pan, stirring to coat in the broth mixture. I love that you can just pour the chicken in, still frozen. This saves so much time because you don't have to cut and cook any raw chicken and you’re not waiting for anything to defrost. Cover and cook for about five minutes, until liquid thickens and reduces by half. 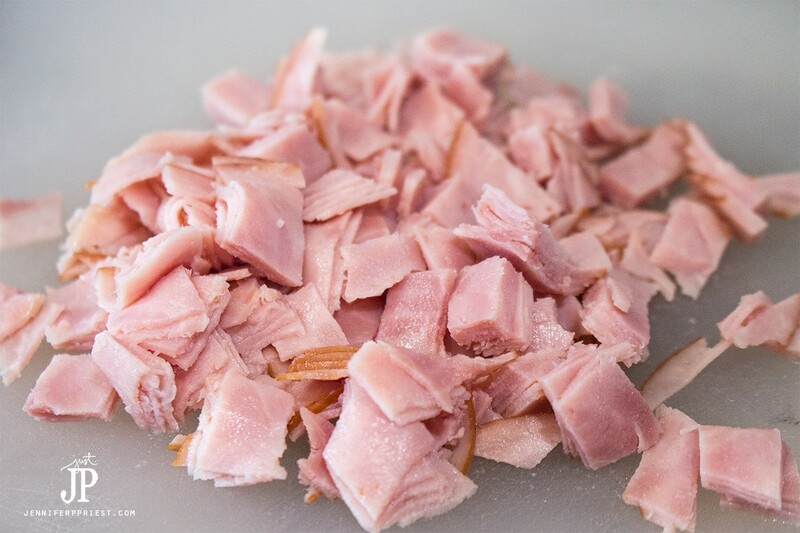 While the chicken is cooking, dice the eight slices of Hillshire Farm® Farm Classics® Lunchmeats Hickory Smoked Ham. In a non-stick sauce pan, sauté the ham until the edges crisp. 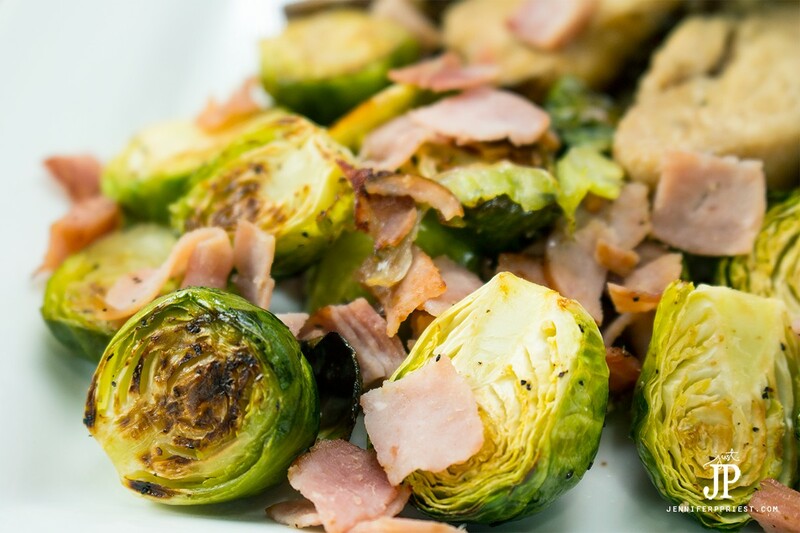 Remove the brussels sprouts from the oven and add them to the pan with the cooked ham. Toss to mix. Remove both pans from the stove and serve! CLICK the image below to grab the printable recipe so you can make this TONIGHT! 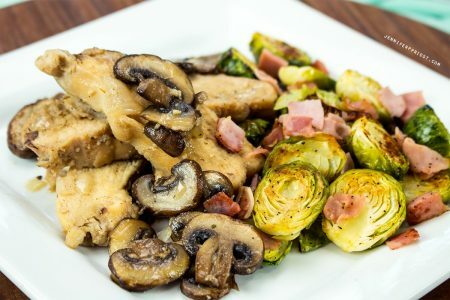 30 minute meal – make the mushroom chicken and roasted brussels sprouts at the same time for a fast, healthy family meal. Cover a cookie sheet with foil and spread the brussels sprouts onto the sheet in one layer. 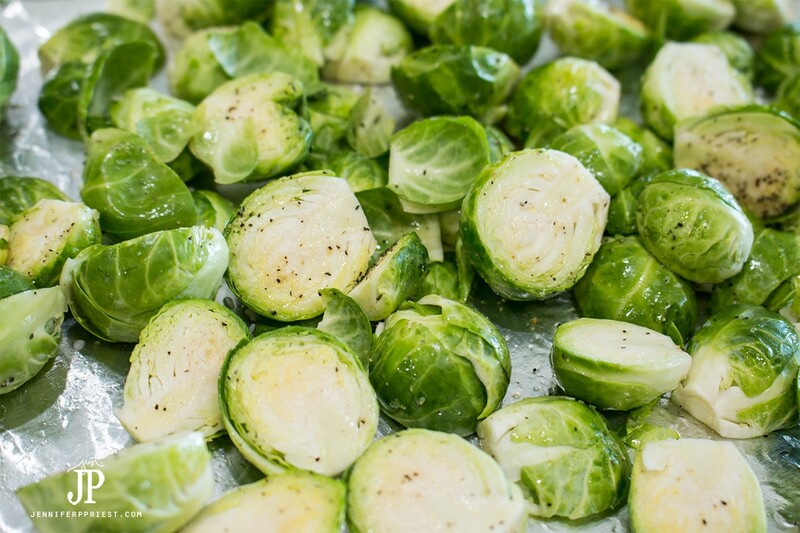 Place the cookie sheet in the oven and cook for 15 minutes, until the edges of the brussels sprouts start to crisp. In a saute pan, melt butter. 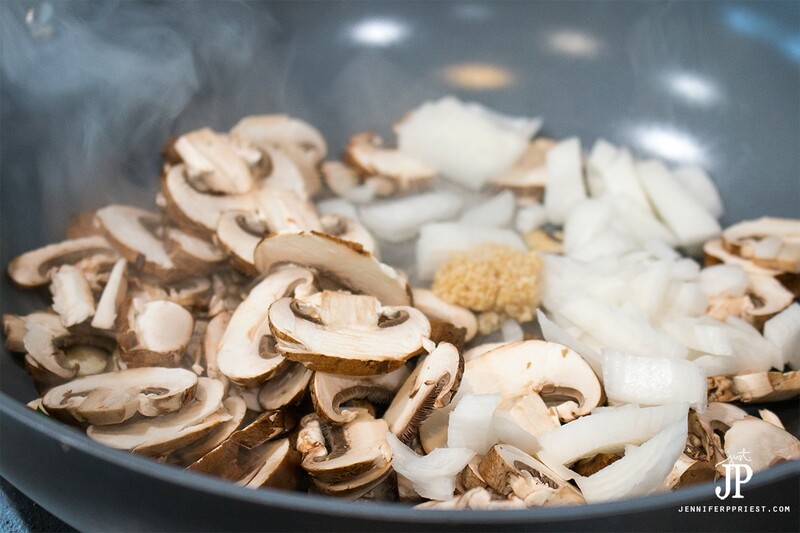 Cook mushrooms, onions, and garlic until tender. Add crushed chicken bouillon and 2 cups of hot water. Stir to mix. You can premix the bouillon into the water if you like. Add chicken to the pan, stirring to coat in the broth mixture. Cover and cook for about five minutes, until liquid reduces by half. While the chicken is cooking, dice the 8 ham slices. 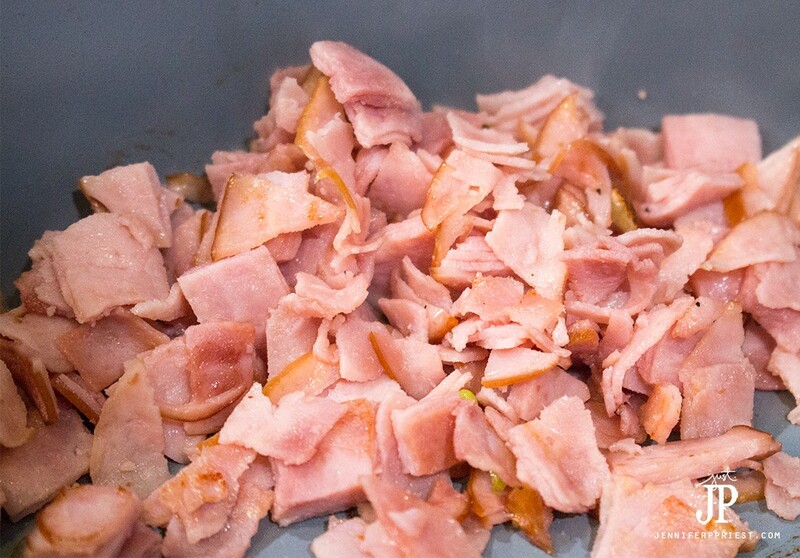 In a sauce pan, sauté the ham until the edges crisp. 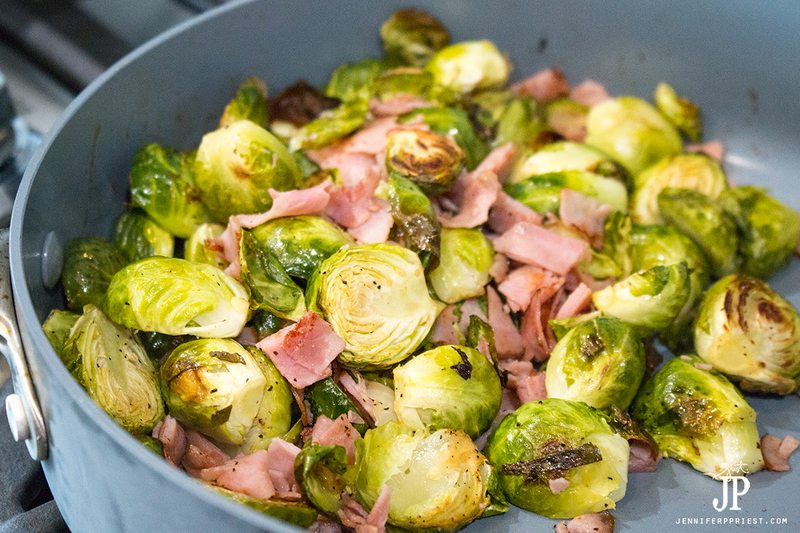 Remove the brussels sprouts from the oven and add them the pan with the ham.Toss to mix. 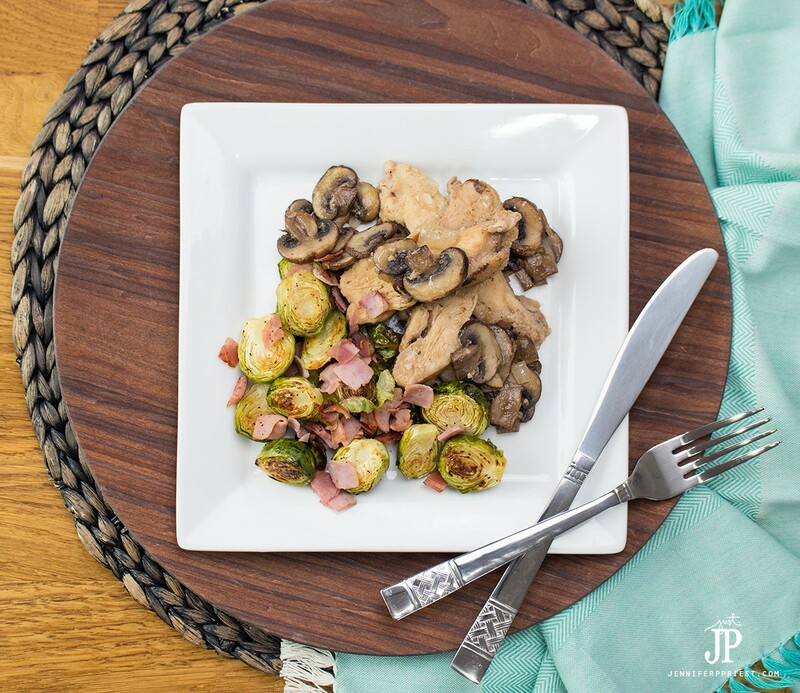 Surprisingly, the kids love the brussels sprouts prepared this way, especially with Hillshire Farm® Farm Classics® Lunchmeats Hickory Smoked Ham. It's one of my 9 year old sons's favorite side dishes and he even helps make it. Since you won't be using the entire package of ham for this dish, you can use the remaining Hillshire Farm® Farm Classics® Lunchmeats Hickory Smoked Ham for breakfast omelets or sandwiches for packed lunches. Matthew says the Hillshire Farm® Farm Classics® Lunchmeats Hickory Smoked Ham is “so good” that he has chosen to use it in his sandwiches for lunch all week long! 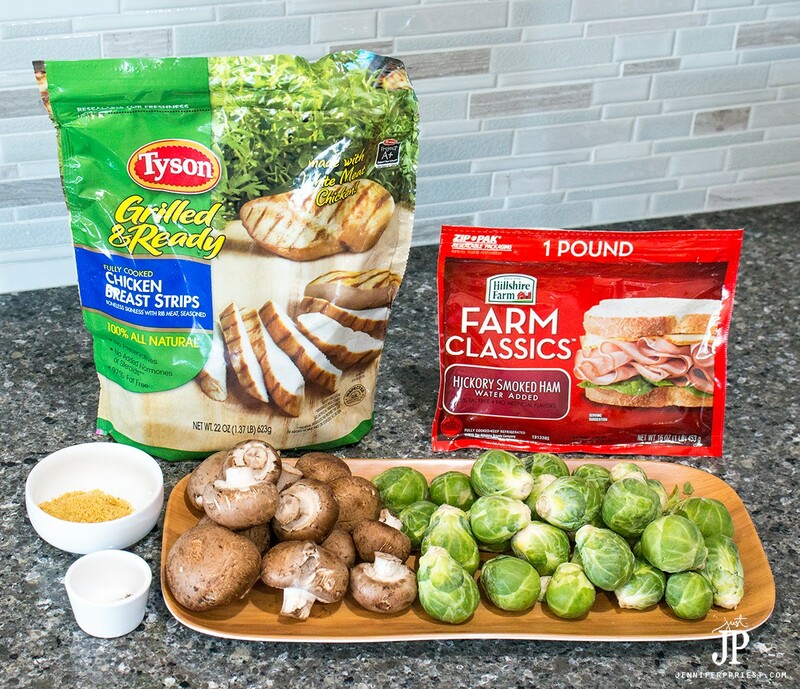 Be sure to head to Walmart to stock up on Tyson favorites like Tyson® Grilled & Ready® Chicken Breast Strips and Hillshire Farm® Farm Classics® Lunchmeats Hickory Smoked Ham to make recipes like this 30 minute meal. Now that we're back to the back to school routine, make meal time easier with recipes you can feel good about making for your family! What's your favorite time-saving meal tip? I'd love to know more in the comments! Looks great! My picky family won’t eat it, but I could make it for my parents. They would love it! Looks both healthy and delicious!